Start by prepping the ingredients - mix up the instant chocolate pudding, finely chop up the Dove Dark Chocolate, and break up the graham crackers into pieces (as small or large as you'd like). Then, in a small bowl, combine the whipped topping & the marshmallow creme. It will probably be a little lumpy and that’s totally ok.
Once those things are prepped, start filling your jars by putting a ½ -1 inch layer of the broken graham crackers. On top of the graham crackers, add about 1 Tablespoon of the chocolate pudding & sprinkle with a bit of the dark chocolate pieces. Then, add about 1 Tablespoon of the whipped marshmallow topping mixture. 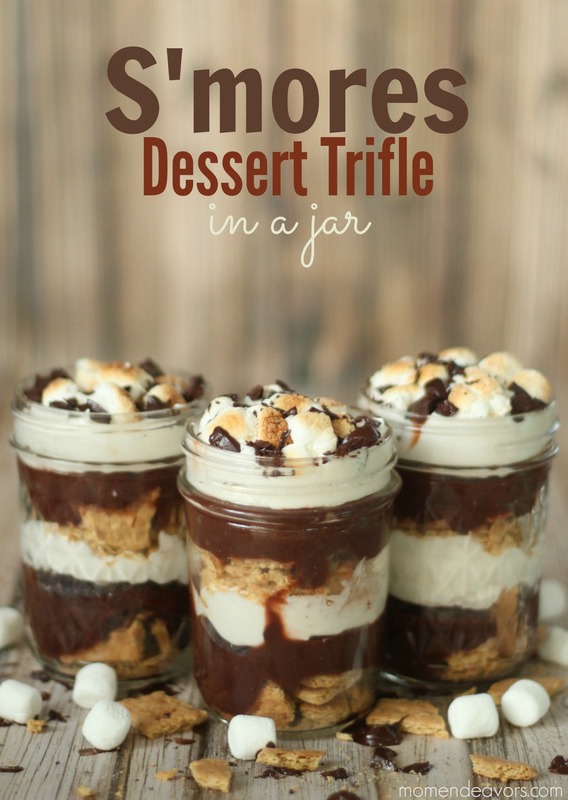 Repeat the layers, finally topping the jar with *toasted marshmallows and another sprinkle of the finely chopped chocolate. For the toasted marshmallows - You just need to broil them, for only a few seconds! Put the mini-marshmallows onto a baking sheet (having them be a little stale or cold can help) and put them in the oven under the broiler. You canNOT walk away…in fact, don’t even look away. I didn’t even close the oven door. I stood there watching for about 10. The moment they start looking a little golden, take them out. Otherwise you might have a charred, gooey mess! 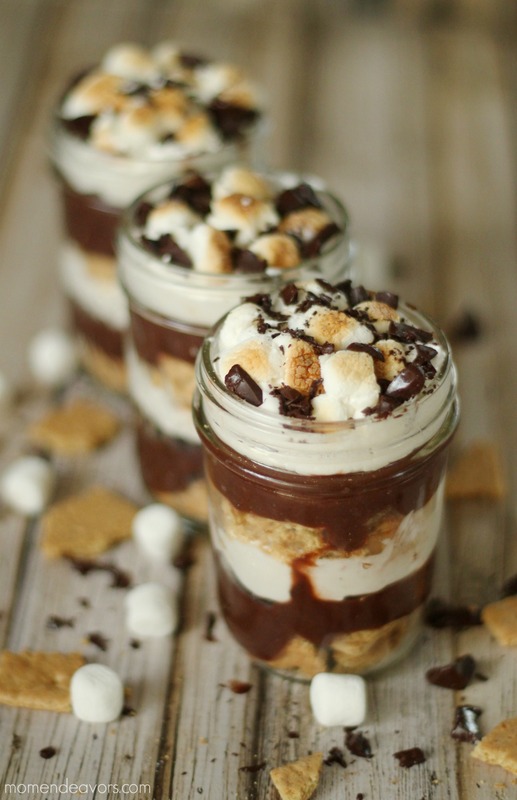 *For “s’more” delicious recipes, be sure to check out this post —> 35+ Amazing S’more Recipes! Disclaimer: Compensation was provided by DOVE® Dark Chocolate via MomTrends. The opinions expressed herein are those of the author and are not indicative of the opinions of Dove or Momtrends. 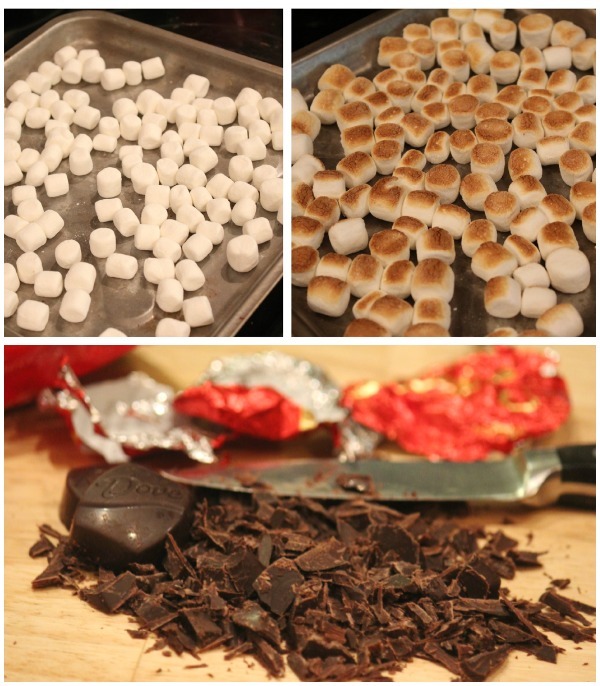 For more delicious ideas, be sure to follow Dove on facebook and or twitter! These look so yummy! I love how you can see all the amazing layers. This looks great. Think I could leave out the cool whip? I don’t keep it on hand. I think you could easily substitute with real whipped cream. Or, if you really wanted to change it up and serve right away, you could even try ice cream! 😉 Good luck! Do these require refrigeration after they are made? Thanks! With the pudding and such, yes! Though, I’m sure they could be out for a bit with no issue. We ate ours right away! 😉 So, I’m not sure! I wonder what substitutions I could use and make it look that amazing. My daughter’s high school band has been doing a lot of bake sales and I think these would sell pretty good. Frosting would be too rich, I think. 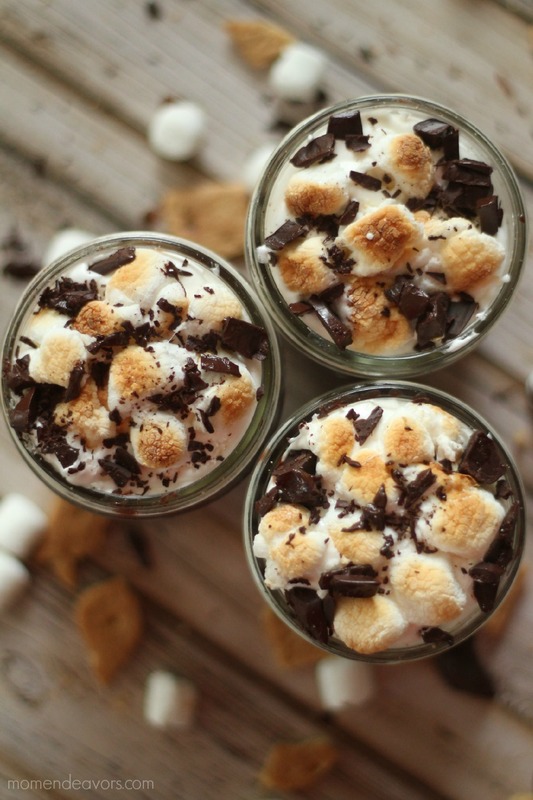 Can’t wait to make these tonight! What size jars did you use? I think these are the pint jars!